Fire as a medium can mediate between intimacy and disruption, depending on its scale and intensity. On the scale of the camp fire it can evoke a primeval sense of protection, by emitting heat and in darkness it defines a visible perimeter, a space of intimacy. However, out of control and on the scale of a forest fire or building, it can be dangerous and disruptive. For our intervention/experiment, the forest fire is a good example. Whilst being ultimately disruptive and destructive, some ecosystems have evolved with fire as a natural and necessary contributor to habitat vitality and renewal. It is this model that inspired us to conceive of a closed-loop system that can link the site ecosystem with that of the TU Delft. 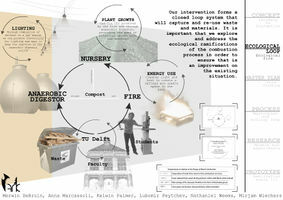 Our intervention will form a closed loop system that will capture and re-use waste and materials. It is important that we explore and address the ecological ramifications of the combustion process in order to ensure that it is an improvement on the existing situation. 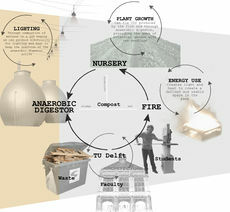 The diagram below shows an overview of how the energy production and recycling process will work in our intervention. 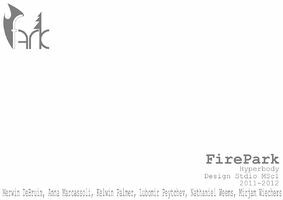 Our design strategy is fueled by the investigation of intimacy and disruption, but also by the inherent logistical issues associated with fire. All our decisions can be related to these two concurrent design constraints and our understanding/investigation into what it will take to realize our concept. The intervention will provide answers to the questions of "how to integrate fire into an urban landscape without directly causing bodily harm to users or passersby?" 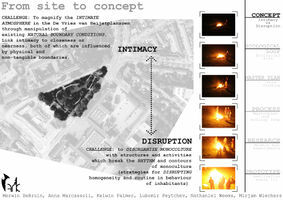 and "How can fire bridge the gap between disruption and intimacy?" 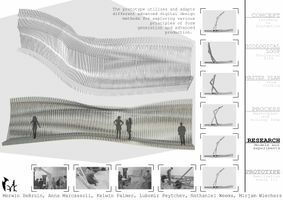 Working with two main focus areas, the prototype simultaneously aimed at developing advanced spatial systems for organizing and articulating new social complexities, and at utilizing and adapting different advanced digital design methods for exploring various principles of form generation and advanced production. 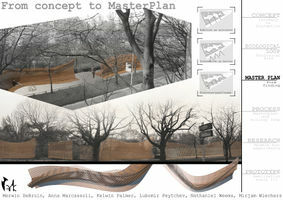 Realisation plan that includes timeline of realisation, list of materials and financial plan. 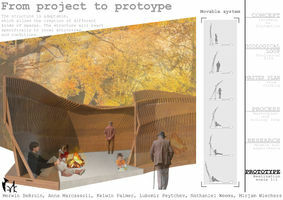 This project is a collaboration between atoms 10 and 11. Our concepts of Intimacy and Disruption can be encapsulated through the activity of fire and the resulting creation of spaces. We are also speaking to project F as they are proposing an urban game space which can provide an autonomous activity in conjunction with our intervention. 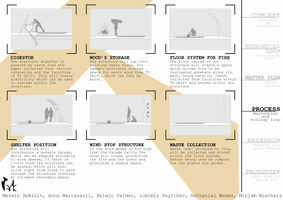 Heleen de Bothof has created a master-plan for future infrastructure which incorporates the site. She can help validate our proposal and provide feedback, as well as giving us advice on how it can be realised in relation to her ideas for development. 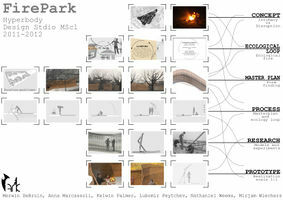 Validate our design proposal. Sabeth van Wybergen is in charge of logistics within the university. At the end of each semester studios are cleared up and waste is thrown away. This tends to be mixed materials - mostly models. Validate our process and help with the logistics of supplying, seperating and using the waste material. Boy scouts make fire in the urban environment. They currently use space on the periphery of Delft, we can provide a more central urban space. They will act as current users of fire and it can help to increase their visibility in the city. Validate how the space can be used and whether it is successful. This page was last modified on 1 February 2012, at 22:07. This page has been accessed 32,592 times.